L10n-swift is a simple framework that improves localization in swift app, providing cleaner syntax and in-app language switching. [x] Change the language of your apps "on the fly". [x] IBInspectable for Xcode Interface Builder (Cocoa - coming soon). [x] Support for user-defined Localizable file names. [x] Support for formats: *.plist, *.json, *.stringsdict, *.strings. [x] Support for grouping localization keys. [x] Support for plural forms in any language. 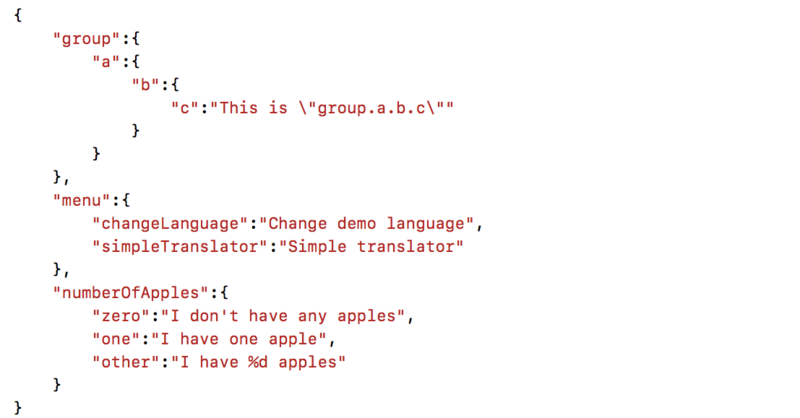 [x] Use .l10n() to localized any string, date, int and double. [x] Use more than one languages at the same time. [x] About 25 times faster than a native solution. Import L10n_swift at the top of each Swift file that will use framework. A list of all the languages contained in the main bundle. More about .strings format you can read on wiki. L10n-swift is available under the MIT license. See the LICENSE file for more info.